Its also a time for reflections and to move on to a more healthy lifestyle and also to share the love of the community spirit and togetherness to everyone. audie61was trying ot avoid the obvious. Lets all charge full steam ahead and go for the jugular. Many smses and calls the whole day were received as those outside Sarawak could not read the locally printed STAR and it was also not reported on the STAR online media portal. 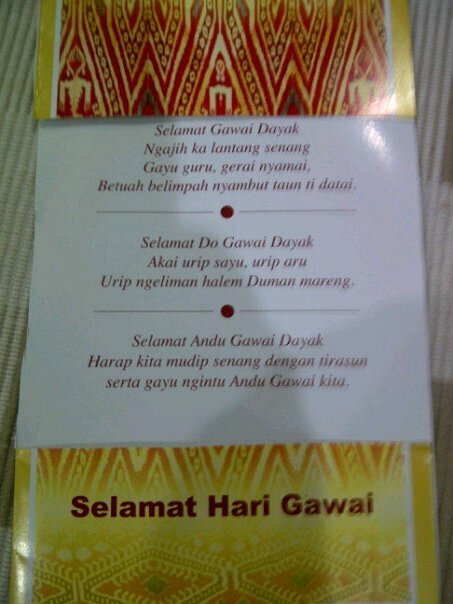 We were trying not to spoil the few days of merrymaking and welcoming the Gawai Festival but it was getting OVEN BAKED. There were also a number of calls from other BN members who chided James for this latest outburst especially in the STAR. What is he thinking of and what is he up to seems to be the common question. We are unable to get hold of him as he is in Australia as what the papers says but we leave it to you to make up your own judgement. PRS President James Masing is disappointed that his efforts at ensuring that the SPDP will not suffer a split ahead of their proposed merger has been misunderstood. 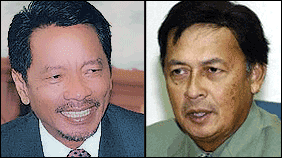 Mawan had told reporters on Tuesday that Masing should not interfere in his party’s matters. ‘I need to say this once and for all” A lot of things he (Masing) has said he shouldn’t have.Thats not very professional.You manage your party and I manage mine,”said Mawan. When asked about his working relationship with Mawan,Masing said he he had no problem with Mawan or other Dayak elected representatives in SPDP. however,he maintained that though he wanted the merger talks to be inclusive,it would be difficult to merge with SPDP if certain individuals were still in the party. “I just don’t want any more talks that could lead to a further split in the dayak community.The parties have been going back and forth about the merger since 2006 but little progress has been made. A politcal watcher even said this to audie61,” Why is James going 20 steps backwards and not 5 steps forward when the call for MULTI RACIAL PARTIES are the trend and not race based parties. Why dont he even invite the other party dayaks in PBB,SUPP and others to join him..? If he can do that then he can claim to be the No,1 DAYAK leader..?